Just outside of Washington, D.C. lies miles of beautiful Chesapeake Bay shoreline and dozens of historic places that shaped our nation’s history. These Maryland attractions are the perfect makings for a family vacation. The Old Line State may be small in size. However, there are so many fun places to visit in Maryland with kids from Baltimore to the Appalachian Mountains. Check out Trekaroo’s top ten things to do in Maryland with kids. There are many great Maryland attractions in Annapolis. A visit to Maryland’s state capital gives families the opportunity to learn about the early history of the United States. 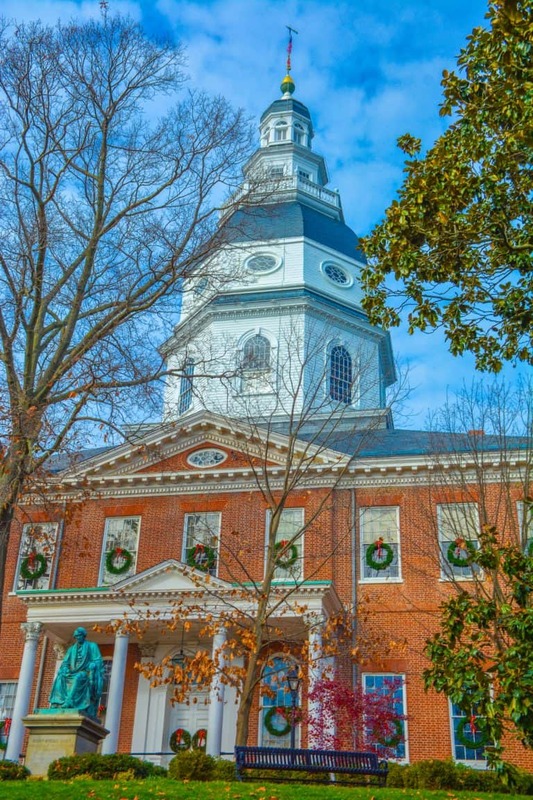 The elegant Maryland State House in Annapolis served as the nation’s First Peacetime Capitol building for almost a year in 1783-1784. During that time, General George Washington resigned his commission as the Commander in Chief of the Continental Army. Today visitors can view the current house and senate chambers as well the historic ones at this historic Maryland attraction. If you’re in the mood to visit more of Maryland’s most historic buildings after a self-guided tour of the Maryland State House, walk over to the William Paca House or the United States Naval Academy. Kids love checking out the model dorm rooms at the Naval Academy and viewing the ship models in the academy’s museum. The United States Naval Academy is certainly one of the most inspiring places to visit in Maryland, and it’s the reason why Annapolis is often referred to as “America’s sailing capital.” Once you’ve had your fill of history, head to one of Annapolis’ many family-friendly restaurants. While Maryland certainly has its share of suburban neighborhoods, much of the state’s landscape is dominated by rich farmland. There are many places to visit in Maryland that have U-pick farms. If your family is driving Hwy 70, take a quick detour and pick some cherries or blueberries at Larriland Farm. Making the drive from Washington D.C. out to Harper’s Ferry? 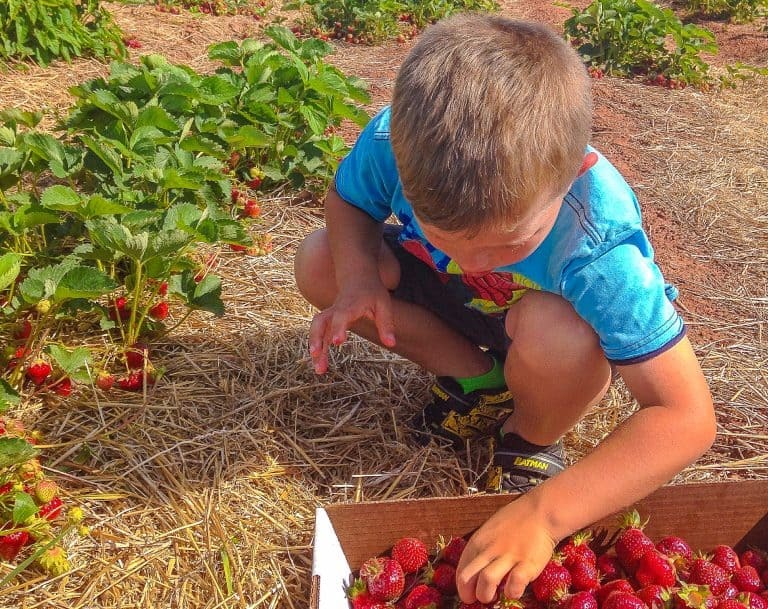 Take the scenic route and stop at Homestead Farms for strawberry or apple picking on your way. If your family is driving Hwy 270, take a five-minute detour to Butler’s Orchard to pick my very favorite fresh fruit, black raspberries. It’s a great place to visit in Maryland with kids during the summer season. Fruit is not the only farm-fresh food that families should drive out of their way to sample in Maryland. There are several creameries that are also worth a scenic drive to visit. South Mountain Creamery is a family favorite. Families can arrive in the afternoon to buy a bite of ice cream and stay to feed a bottle of milk to the baby calves. It’s also great family fun to eat some ice cream next to the sunflower field at Rocky Point Creamery just outside of Point of Rocks. Find more fun day trips from Washington DC. Nearly every kindergarten-age child in the United States can recognize a photograph of a bald eagle. But, how many can say that they’ve spotted one out in the wild? 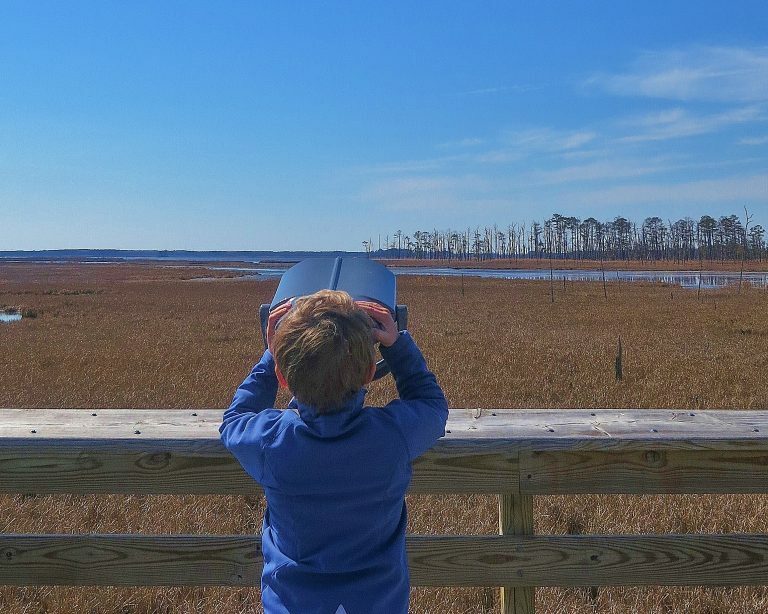 If you’re looking to go bird watching in the Mid-Atlantic region, look no further than the Blackwater National Wildlife Refuge. Cambridge, on Maryland’s Eastern Shore, is the ideal destination for a somewhat educational and very relaxing getaway. The Blackwater National Wildlife Refuge is only a short 30-minute drive from the fabulous, family-friendly Hyatt Chesapeake Bay Resort. It also neighbors the new Harriet Tubman National Historic Site. My son and I have spotted a few bald eagles closer to Washington D.C. too. On a free mid-afternoon boat cruise on the Patuxent River from the Bladensburg Waterfront Park in Prince George’s County, our boat was greeted by a bald eagle soaring down the river. Love Birdwatching? Here’s a list of Places to Spot a Bald Eagle Near the Nation’s Capital. Western Maryland is the place to get outdoors and enjoy the fresh mountain air. Families can rent a cabin or spend a week camping during the summer months in the Deep Creek Lake area of Garrett County. Swallow Falls is one of the best places to visit in Maryland for a family hike. The hike into the falls is simple enough for adventurous tots and takes less than an hour. Families also enjoy swimming in the cold waters of Tolliver Falls, the final waterfall on the trail. In the winter months, families can ski at Maryland’s only ski resort, Wisp Resort just north of Deep Creek Lake. 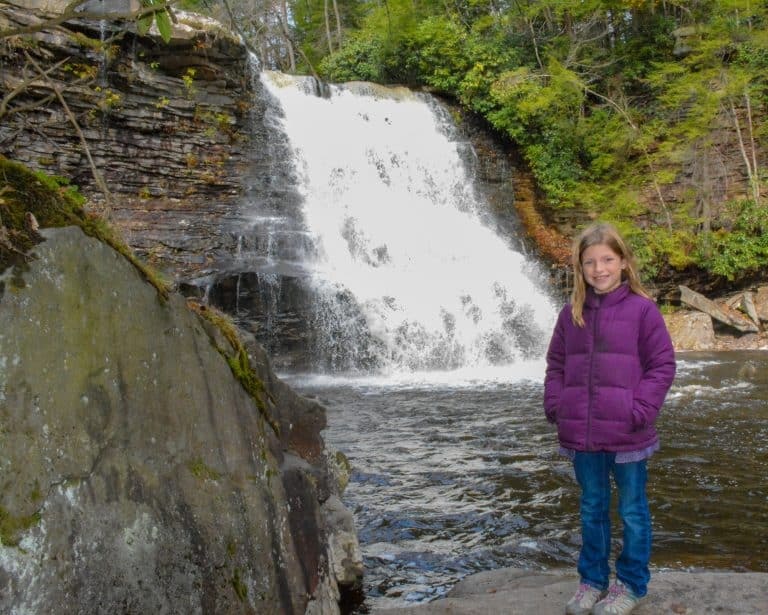 There is no shortage of opportunities for hiking in Western Maryland with kids. For families with older children, there are approximately 40 miles of the Appalachian Trail in the state of Maryland. Maryland’s most popular day hikes on the Appalachian Trail both begin in its state parks. Families can hike to Annapolis Rock from Hwy 40 just outside of South Mountain State Park. Hikers are rewarded with amazing views once they reach the top. Find amazing deals on family-friendly hotels in Maryland. Maryland has nearly seven thousand miles of shoreline along the Chesapeake Bay. It’s no surprise that the state’s history, livelihood, and industry are closely tied to the bay. Venturing out of urban and suburban Maryland towards the shores of the bay, families find several maritime museums. Maritime museums are popular Maryland attractions for all ages. These museums tell the story of the Chesapeake Bay watermen who have made a living off of harvesting oysters and catching blue crab. Driving southeast of Washington D.C., families can explore the beaches along the Calvert Cliffs. Kids love swimming in the bay water and searching for sharks’ teeth by the shore. Families will also want to check out the Calvert Marine Museum featuring exhibits on the local ecology of Chesapeake Bay. It is one of the best places to visit in Maryland to learn about the state’s aquatic ecology. There’s also a good deal of history to be found at the Calvert Marine Museum. Kids love climbing up into the Drum Point Lighthouse and checking out what the life of a lighthouse keeper would have been like in the early 20th century. To visit the Eastern Shore, families can take the Chesapeake Bay Bridge out of Annapolis to St. Michaels and Cambridge. 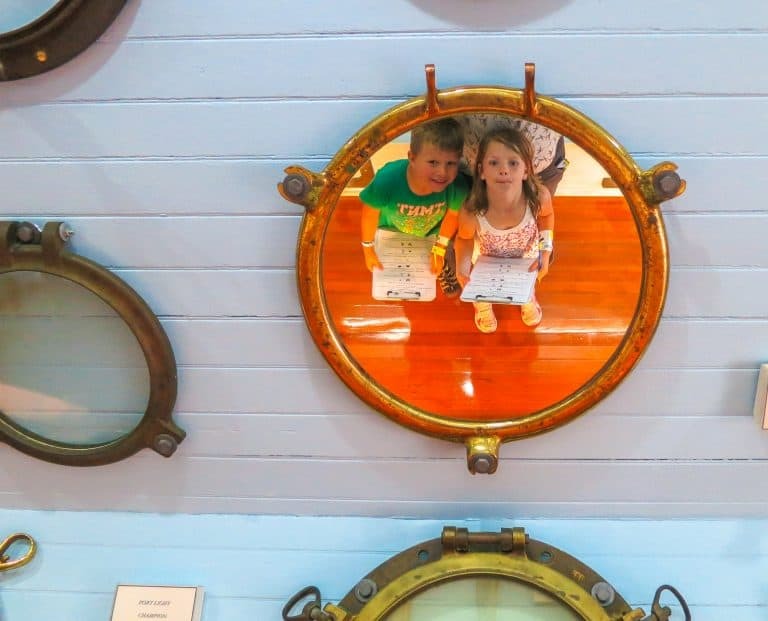 On the Eastern Shore, families can spend their day learning about the Chesapeake Bay watermen at the Chesapeake Bay Maritime Museum in St Michaels one of the top Maryland attractions for families. Does your family like to learn while on the road? Check out Trekaroo’s Road School Guide: Human Impact on Aquatic Ecosystems for tips on making the most of your visit to the bay. Many of the larger cities in the Mid-Atlantic region can boast of their impressive science, art and history museums. However, Baltimore’s Inner Harbor neighborhood is unique in that it includes the Port Discovery children’s museum, the National Aquarium, and the Maryland Science Center. All three of these world-class museums are within walking distance of the city’s beautifully revitalized harbor. If that’s not enough to keep your family busy, the harbor is also home to four historic ships. 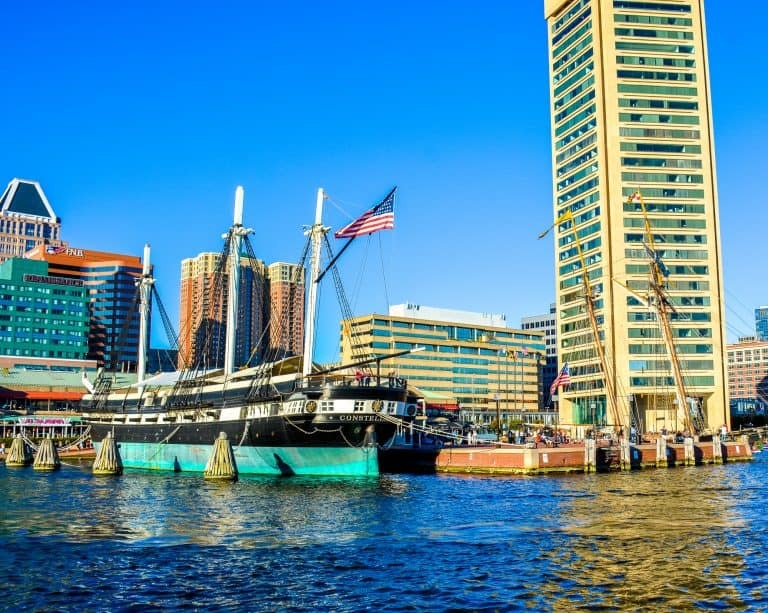 Baltimore Water Taxi also docks right next to the USS Constellation and can take families to the historic Fells Point neighborhood to catch a kid-friendly Urban Pirates cruise or across the harbor to the American Visionary Arts Museum. There are so many Maryland attractions for kids to experience in Baltimore. Check out Trekaroo’s Top 10 Things for Families to do in Baltimore. Maryland has only about thirty miles of sandy beaches along the Atlantic Ocean. This short coastline boasts both a boardwalk with amusement park rides and one of the nation’s ten protected national seashores. In Ocean City, families can stay beachside in one of the dozens of hotels or hundreds of rental properties available within sight of the sand. With water parks, amusement parks, and miniature golf available at several locations on the island, kids can get their thrills even when they tire of the saltwater and sunshine. 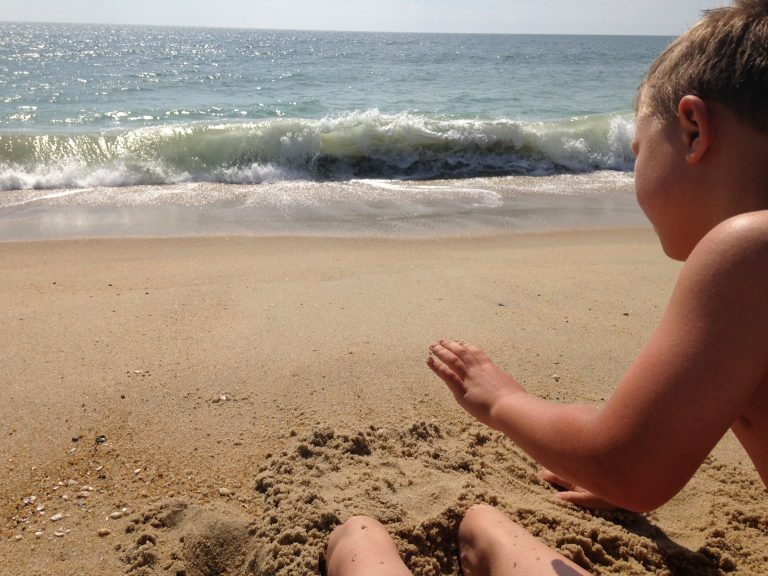 After spending a few days splashing at Jolly Rogers Splash Mountain Waterpark and screaming on their amusement park rides in between visits to the beach, Ocean City easily gets my kids’ vote as one of their favorite places to visit in Maryland. Less than an hour’s drive from the boardwalk crowds is Assateague State Park and Assateague Island National Seashore. Families can get away from it all and camp on the beach. However, they might have to share their campsite with the wild Chincoteague ponies that make their home on the island. The Eastern Shore is the place to get away for a vacation. Can’t decide which Maryland attractions to visit on your vacation to the Eastern Shore? 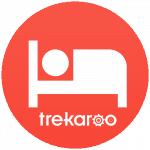 Check out Trekaroo’s Family-Friendly Eastern Shore Getaways Vacation Guide. The Chesapeake & Ohio Canal National Historic Park stretches from Georgetown in Washington D.C. all the way to Cumberland in Western Maryland. It might be my favorite Maryland attraction and the state’s best-kept secret. Hiking the Billy Goat Trail, which traverses the rocky cliffs of the Potomac Gorge just upriver from Washington D.C., is one of my children’s favorite things to do in Maryland. They love to climb the rocks while I enjoy taking in the view of the Potomac River rushing by. However, families don’t have to hike miles of strenuous trail in order to get the perfect view. The view of Great Falls from Olmstead Island is just an easy 10-15 minute walk along the towpath and a boardwalk from the Great Falls Visitor Center. With 184.5 miles of canal, visitors don’t have to battle the traffic of suburban Maryland in order to experience one of the top Maryland attractions. The Cumberland Visitor Center terminus of the canal is full of educational displays describing the procedure for bringing the canal boats through the many locks along the canal. Another of my favorite stops along the canal is in Brunswick, just a short drive from Harpers Ferry. There is a small, free visitor center on the first floor of the Brunswick Heritage Museum. If your family stops in Brunswick, make sure to eat at one of my favorite Maryland coffee shops, Beans in the Belfry. This classic, small-town church has been converted to a restaurant complete with stain glass windows, toys for the tots and the most amazing desserts. Crab cakes, steamed crab, soft shell crab, crab soup, and the list goes on and on. 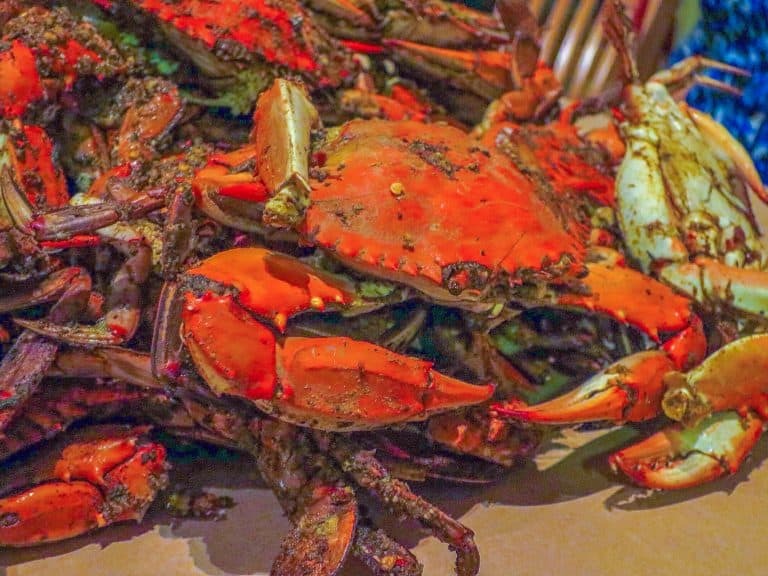 There’s a reason that Maryland is known for its crab. Approximately 50 percent of the country’s blue crab harvest comes from Maryland. The blue crab is even Maryland’s official “State Crustacean.” Families visiting Maryland should give crab a try whether trying the seafood platter featuring crab cakes at the Phillips Crab House in Ocean City or cracking their own steamed crab at Bo Brooks in Baltimore’s Canton neighborhood. The Eastern Shore is one of the best places to visit in Maryland for crab. Just ask the locals anywhere along the Chesapeake’s Eastern or Western shore for a local recommendation. When visiting the Chesapeake Maritime Museum in St. Michaels, the locals recommended the crab soup at the nearby Chesapeake Landing Seafood Restaurant. It was very tasty with huge chunks of crab meat. Check for deals on family-friendly hotels in Maryland. If you take a moment to look at a Civil War era map that includes the infamous Mason-Dixon Line resting between Maryland and Pennsylvania, you’ll quickly see why so many Maryland attractions are Civil War battlefields and historic sites. There are visitor centers and Junior Ranger programs at both Monocracy National Battlefield and Antietam National Battlefield. 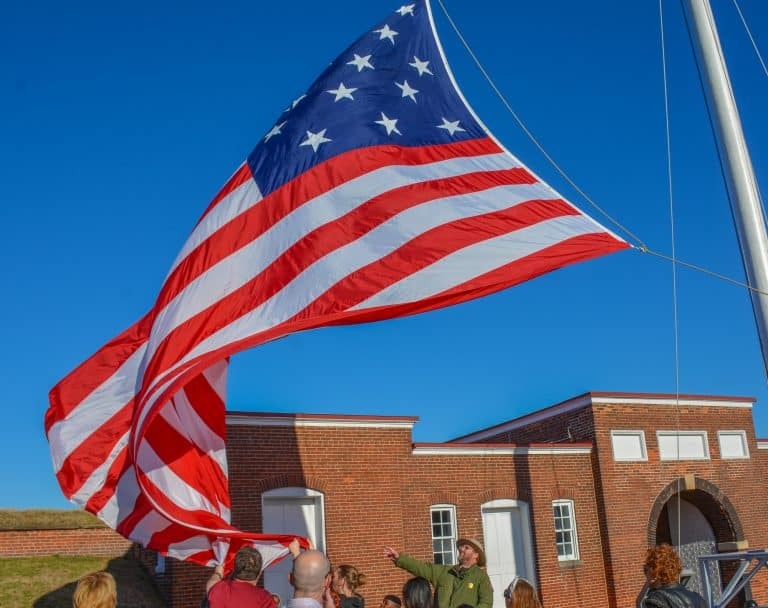 Our children are fortunate that these historic sites have been preserved and that park rangers are available to provide educational programs so that we all can learn from our country’s past. Do your kids love the Junior Ranger Program as much as mine do? There are so many places to visit in Maryland with kids where they can complete the Junior Ranger program. Here’s a guide to Places to Become a Junior Ranger Near Washington DC. Special thanks to jesslove for whose hard work helped make this post possible! 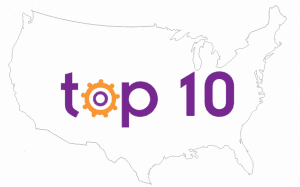 Another great top 10 list from Trekaroo! Always fun, helpful, and informative. Thanks for participating in our Family Travel Friday blog hop! Great list. I work with the marketing department for D.R. Horton America’s Builder and they currently have homes available in Maryland! A great place to live and play. Maryland a home for everyone. Great list. We have visited a few of the places you mentioned and can’t wait to visit more. 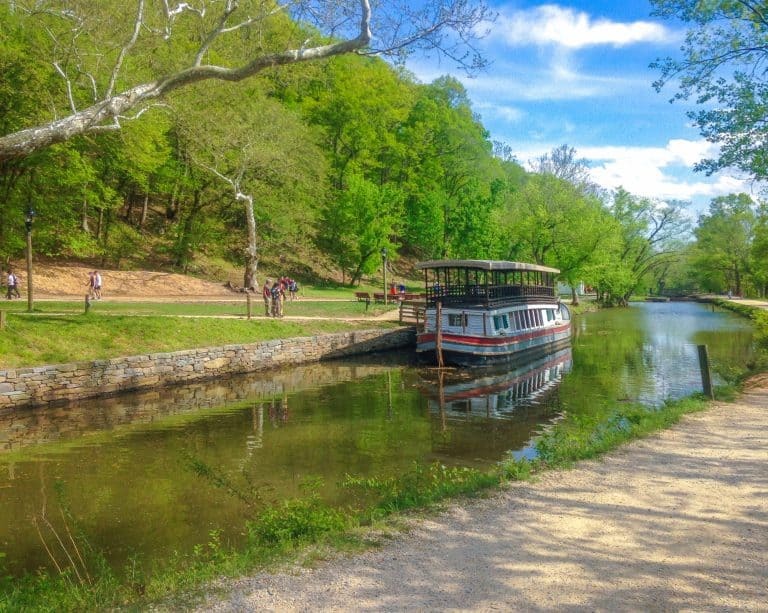 The C & O canal is one of our favorite areas to explore. It really is one of Maryland’s hidden gems!